The Clarke CA60 auto scrubber is an 14" x 20" oscillating floor scrubber that features BOOST® technology. This technology enables the scrubber to thoroughly clean after one pass while also being powerful enough to remove floor finish better than ever. To achieve this, the CA60B has up to 110 pounds of adjustable down pressure on the pad which uses orbital technology to scrub in multi directions. This oscillating movement requires less water, few chemicals, and is greener than rotary floor scrubbers. Durable 16-gallon rotomolded polyethylene tanks also require fewer dump and refills, thus require less down time. The BOOST deck features a self-leveling system to ensures consistent pad pressure to make sure every inch of your floor scrubs uniformly. The unit has four flow rate settings, so you can adjust the flow to just what you need, saving you solution in the process. The floor scrubber features large fill ports with protection screens and a fully accessible recovery tank with a debris catch cage to protect your machine and allow for easy cleanup. 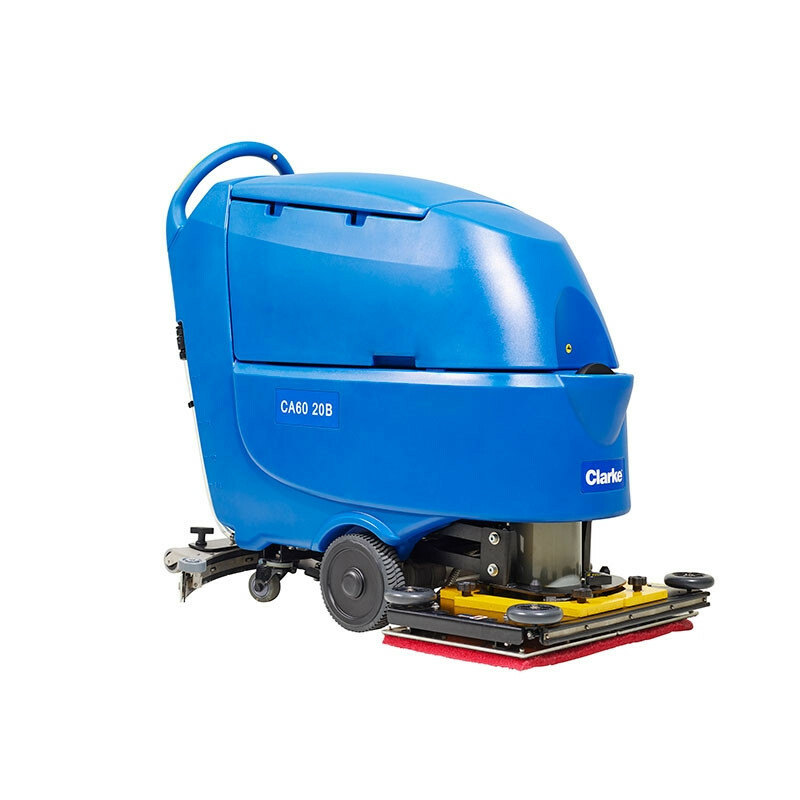 The Clarke CA60 works great with any 14" x 20" scrubbing pads for daily scrubbing. 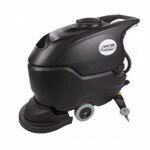 For other Clarke machines, please view our full line of Clarke walk behind floor scrubbers or ride on floor scrubbers.